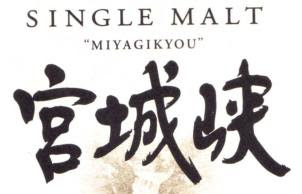 The Miyagikyou distillery is in the Northern part of Honshu, Japan's main island. It is run by Nikka, one of the big two Japanese single malt whisky makers. Nikka says that it typically produces "soft and mild" malts, although I am a bit sceptical about the generalisation. 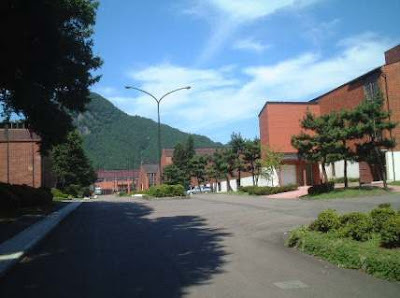 The distilleryMiyagikyou was opened in 1969. Nikka says the site, like that at Yoichi, was chosen by the founding father of Nikka and Japanese whisky, Masataka Taketsuru. 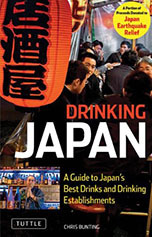 The distillery sits at the confluence of the Hirosegawa and Nikkawagawa rivers and Taketsuru is said to have decided on the location after tasting the water of the Nikkawagawa. Nikka's publicity says: "Travelling in the area one day, Masataka came upon this site completely enclosed by mountains and sandwiched between two rivers. He immediately knew that this was the perfect site for whisky distilling. Sendai's fresh water, suitable humidity and crisp air produce soft and mild malt." Miyagikyou takes its water from the Nikkawagawa. The coincidence of the name of the river and Nikka's own is just that. The distillery, which also produces grain whiskies, uses more modern equipment than Yoichi. It has eight stills for malt whisky production and has roughly double the output of its Northern brother. Much of this production must go into the company's blends and vatted malts as its single malt brands are less widely marketed than those of Yoichi. Its setting is a bit less picturesque than Yoichi's and its image slightly less romantic, but I think it would be a mistake to dismiss its products. In my untutored opinion, some of them edge their Yoichi equivalents. LocationSendai, Miyagi Prefecture, northern Honshu. Lat.38 N.
I am not sure if they do tours but they have a guest hall on site and visitors are welcome.Miyagikyou, Nikka Whisky Co. Sendai Plant. 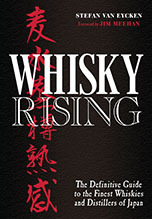 Here is the Nikka whisky directions page (in Japanese). Here is Nonjatta's Google map of the distillery (and all the others). did you hear anything about a "Miyagikyou no age"
I just bought one bottle of it here in Germany but found no information about it anywhere. I have heard about the Miyagikyou no age. In fact, I have tasted it on a couple of occasions but haven`t yet posted anything on Nonjatta. Your comment has spurred me into action, so please await something over the next few weeks. My own impressionistic conclusion was that I didn`t quite like it as much as the Yoichi equivalent (they are priced exactly the same as each other over here: about 1700 yen) but that it was nevertheless perfectly drinkable.